Ag Dawgs Abroad Blog | I’m in China…what’s next! 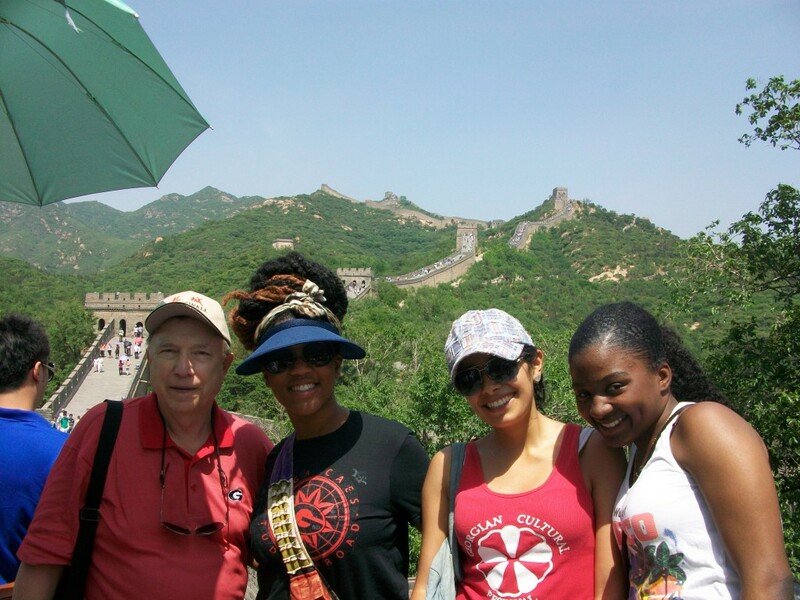 Jun 20, 2013 | Written by Charnae R.
I originally arrived to China with a group of students from UGA and two professors. I was comfortable being with these students…not feeling so alone being in a foreign country on my own. When it was time for us to go our seperate ways they went back to America and I returned to Shanghai. I am currently living in the international dorms on campus and meeting students from all over the world. The language barrier is a bit of a problem but charades has come in handy when I really need to get my point across. I came to China for two reasons and I’ve already fulfilled one. My research internship has started. There are a number of other students in the lab but I feel a sense of disconnect because I am not able to properly communicate with them. My roommate is Vietnamese and speaks very little English. I find it funny that we use Google Translate to communicate. Thus far, the greatest experience I’ve had is being able to improve the English of a professor here on campus. Initially, I was hesitant to help because I am not a teacher. But after careful consideration I decided to do it! His English is not bad at all he just needs practice with conversation and being able to listen and understand. This is a new experience for me and it has been an honor to serve as his teacher! 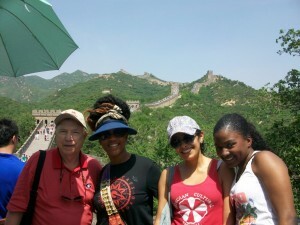 1) Dr. Ames, Grace and Danaya and I at the Great Wall. Posted in China, During trip, Faculty-led, Global Food and Trade, Internship, Summer. Bookmark the permalink. Next: 16,000 miles in 10 days!